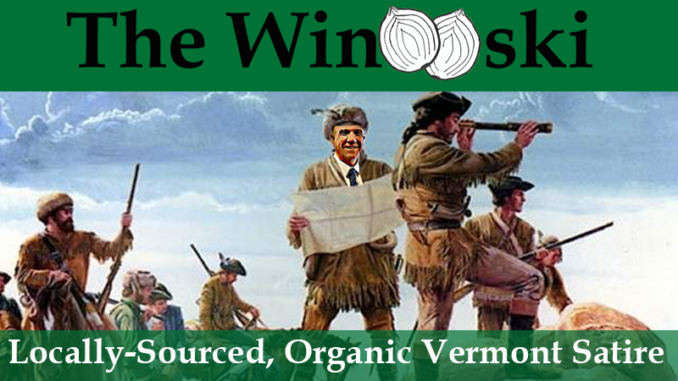 WINOOSKI – Many Vermonters have been speculating about Governor Scott’s existing revenue streams that he mentioned in his second inaugural address this week, and which he has promised to use to fund some of his key initiatives this year. He has not yet revealed which existing revenue streams he is referring to, and sources inside the state house are saying that this is because he doesn’t know where they are yet. Saturday morning the governor was observed on the banks of the Winooski River with a team of explorers and some maps, leading many to believe that he is on the hunt for the mythical “Financial Passage,” the revenue stream that, according to legend, would connect the whole state, touching each of Vermont’s 250 cities and towns, as well as the former town of Richford, VT, now its own nation. The governor’s office had no comment on the rumors, but said only that if Governor Scott says he knows where the revenue streams are, then he knows where the revenue streams are, and they definitely exist.